Roy Group has joined the thousands of organizations and individuals around the world that are issuing Open Badges. 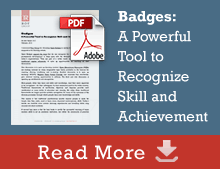 Open Badges have set an industry standard for accomplishments represented in a digital format. Each professionally designed Roy Group badge is a powerful symbol of the course it represents and is coded with the same details found on a paper certificate: the names of the recipient and issuer, a description of the purpose, the issue date, and the criteria met. Credly.com provides the means for verifying, sharing and managing your digital badges and credentials. By connecting to Linkedin and other social media directly through Credly, you can easily highlight your professional development activities. 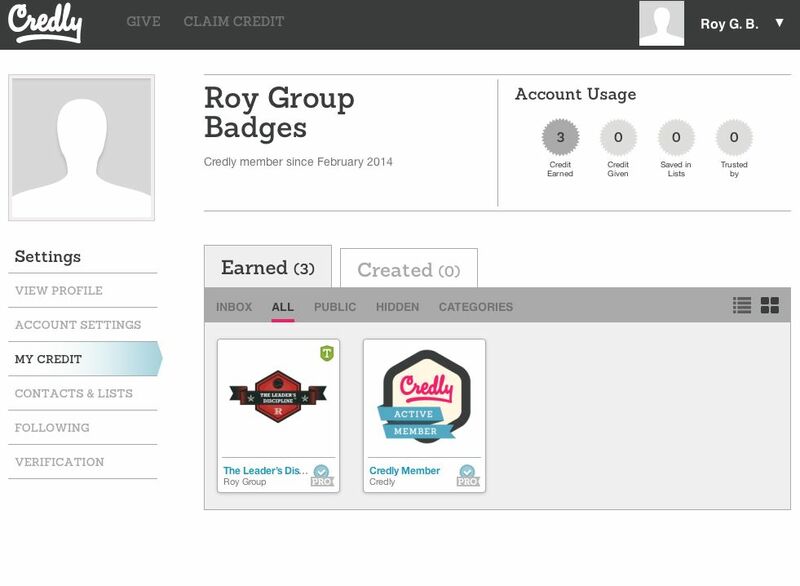 Roy Group will award badges to you via a Credly Claim Code, and you will manage how your badges are shared through your Credly account. On the last day of your course, you will be given a Credly Claim Code to accept your badge. Click on “Claim Credit” (at the top of the web page) and enter the Claim Code (e.g., LD-207-06-ED). Hover over the badge with your mouse. On the Earned tab, hover over a badge and click on the “Manage” button to reveal badge details and management features. You may manage your badges within Credly by creating categories to group your badges (e.g., professional development) and by customizing other settings. All social media posts include a link. Viewers who click on the link and/or badge image are directed to an official record embedded into the Roy Group Badges website on the Certificate of Authenticity webpage. 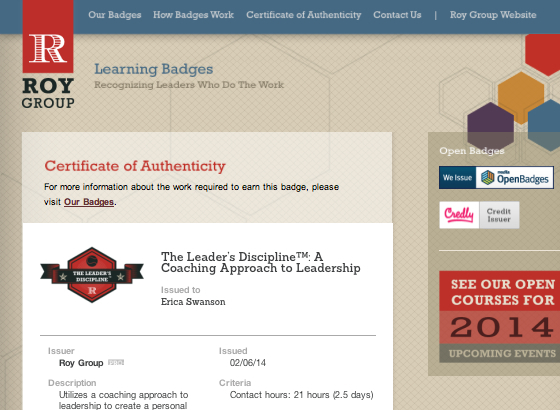 To see what others will see, go to the Earned tab and click on the blue lettering (e.g., The Leader’s Discipline™) that appears at the bottom of your badge, above the name of the issuer (Roy Group). Let us know how we can help you track your professional development! If you have unclaimed badges or would like technical support to display your badges, write to us: badges@roygroup.net.